Today’s blog post is quite an exciting post, as I’m reviewing and giving away a brush set that I was sent by Tmart.com a few weeks ago. The brush set has 32 brushes – basically all the brushes you need for both eyes and face make-up (see the picture below). 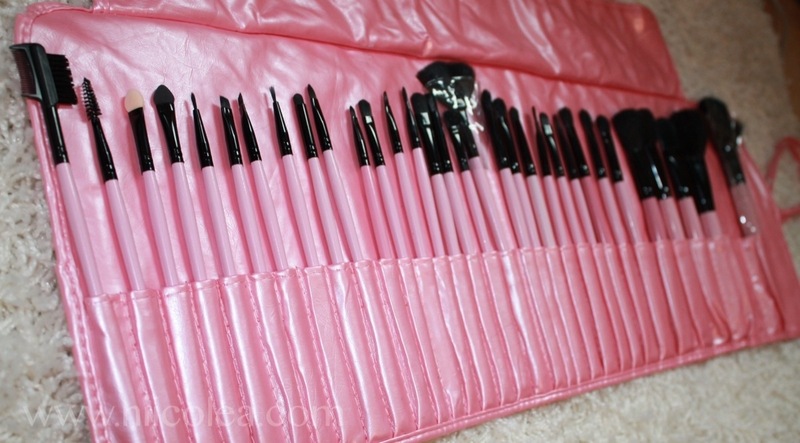 The brushes come in a pink brush set which is ideal when you’re traveling. As far as the quality of the brushes, I would say that they are not of top quality, as I’ve experienced quite a lot of shedding from the brushes. The reason for this may be that the bristles are synthetic and are not the same quality as real hair brushes that I am used to. However, one thing that is good when it comes to synthetic brushes is that they can be used on all sorts of makeup, including liquid makeup. Overall I think this is a great brush set that every makeup lover needs to have, as the brush set includes all the brushes you will ever need. You can find the brush set here. And now to the exciting part. 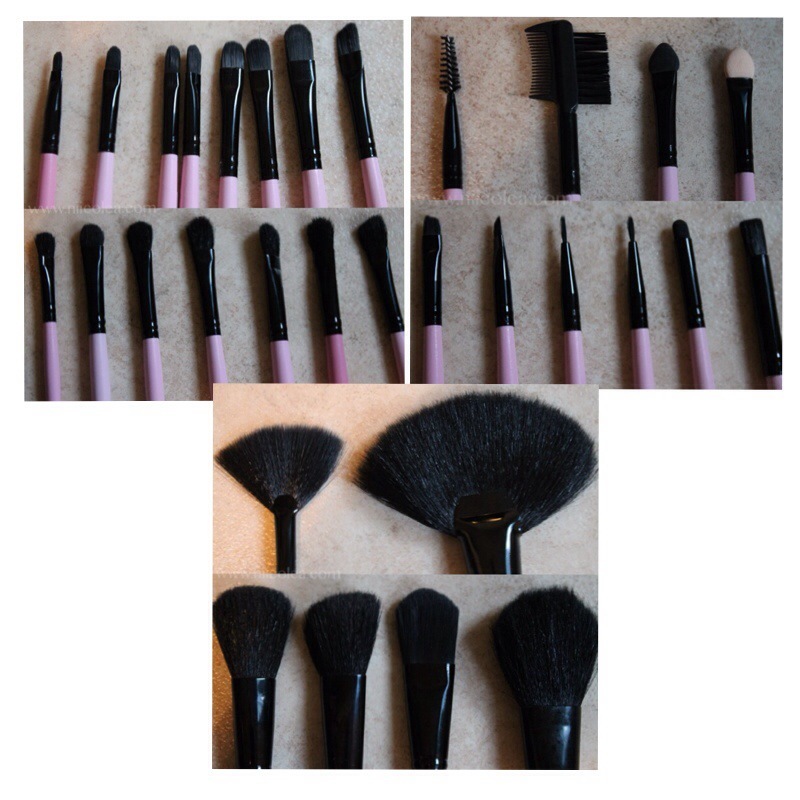 Tmart.com was kind and sent me two brush sets – one to give away to my lovely readers. The giveaway will run until November 17th and will be open for all my international readers. One winner will be selected randomly and announced in a blog post. An email will be sent to the giveaway winner as well. 2. Leave a comment in this blog post and write “Enter Me”. Yaaaaaaay, I’m following u on twitter, Instagram, WordPress and Facebook, and just yesterday I was looking at a 32 piece brush set and wishing I’d own one. *fingers crossed*, I really hope I win this. Forgot to write “ENTER ME” out of excitement. These brushes look awesome. Enter me please! Enter me 🙂 How is tmart.com? I have been looking at some things there but I don’t know anything about the website.